No doubt, social media marketing is what you should get involved in if you want to grow your business audience. The main reason for this is because we are social being. We are created to relate with others effectively. This is where our success comes from. If you desire success for your online business blog, then you must learn to incorporate social media marketing with your business. This will help your business a great deal. To help you know what to do, here are a list of 21 things you need to do. They are a plan you should follow as soon as possible. Go through the list below and work on them for your business. If you need help, please use the comment form further below to ask for help. I will get back to you as soon as possible. Here is your social media marketing plan. #1 – Add Social Sharing Buttons to your site. 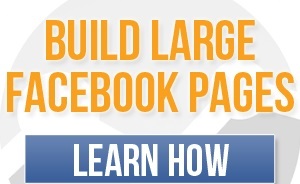 #2 – Add Facebook Like Box and other Social Plugins to your site. #3 – Add Open Graph to your site. Use Simple Facebook Connect WordPress plugin. #4 – Create a Facebook Page. Use WP4FB WordPress plugin in combination with WordPress HTTPS and an SSL Certificate. Alternatively use XTAB Apps. #5 – Add Like Gate and other viral gates to the Facebook page. #6 – Add Twitter Buttons and Widgets on your site. Also use Simple Twitter Connect WordPress plugin. #7 – Create a Twitter profile for your brand. Use a hashtag to create a brand presence. #8 – Create a Google+ Page for your Site. #9 – Add Google+ Badge and Direct Connect features to your site. #10 – Implement Google Authorship markup on your site. #11 – Have complete profiles on social networking sites. Include keywords in your profile descriptions to help with SEO. #12 – Organize your Google+ Circles. #13 – Run contests and Giveaways on Twitter, Facebook and Google+. #14 – Give Away Freebies in Exchange for a Tweet or Facebook Share. Use Pay with a Tweet. #15 – Redirect users from social media sites to a custom landing page. Leverage AWeber to build email lists. #16 – Engage your audience by sharing, tweeting, following, responding to their comments. Update regularly on the social networks. #17 – Link social profiles to each other. For example, link Facebook to Twitter and vice versa. Add your social profiles to Google+. #18 – Use Twitter tools like TweetAdder, Buffer, TwitterFeed and GroupTweet. #19 – Optimize your blog’s RSS feed with Feedburner. Also use the RSS Footer plugin. #20 – Optionally make use of advertising options. Try Twitter Ads, Facebook Ads, Sponsored Tweets, Sponsored Stories, and Google’s Social Extensions with AdWords campaigns. #21 – Measure, analyze and refine your strategy. Leverage Social Metrics Pro, Facebook Insights, Google Webmaster Tools.